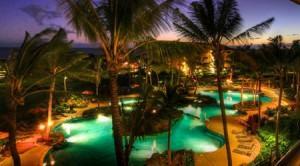 Lasso Real Estate CRM Software system is fundamental to sales success at luxurious Hawaiian development. Project surpasses current real estate market expectations with 20 residences closed in the past 12 months. Vancouver, Canada – (November 7, 2011) Lasso Data Systems, the leader in Customer R elationship Management (CRM) software for the home building industry, is pleased to announce that their client, Koloa Landing at Poipu Beach, Hawaii has surpassed current real estate market expectations with 20 residences closed since opening in late 2010. These closings represent approximately $28 million in volume with at least another three closings scheduled to be completed before the end of the year, bringing the projected closing volume to an estimated $32 million. “We congratulate the Koala Landing team on their sales success and it reinforces that now more than ever, CRM software is a core pillar for successful new home sales and marketing,” stated Dave Clements, Lasso Data Systems CEO. “Koloa Landing has leveraged our software extensively to manage their leads, prospect and purchasers,” added Clements. Since the official opening of Koloa Landing Wyndham Grand, the resort has exceeded its occupancy projections by approximately 20% during late summer and early fall and is anticipating very strong occupancy numbers in the fourth quarter, as well as early 2012. 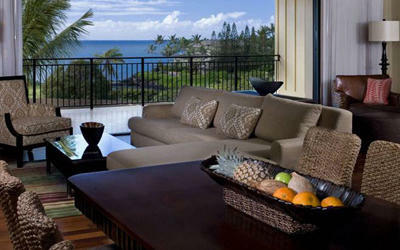 The developer, Poipu Beach Villas, LLC, completed Phase One last year with five residential buildings. Work will begin on Phase Two of the project in mid-November with new construction of Building One East by the General Contractor, Layton Construction. With this undertaking comes more resort amenities to enhance the guest experience even more. Koloa Landing at Poipu Beach is an exclusive ocean-side resort community located in one of the most coveted locations in the Hawaiian Islands. Nestled next to legendary Poipu Beach and the new Kukui'ula Shopping Village, its setting ideally positions one to share in the abundance of natural and cultural treasures of Kauai. Koloa Landing offers ownership through Oceanfront Realty and resort rentals through the Wyndham Grand Collection operated by Azul Hawaii Resorts. Lasso Data Systems is the leading developer of “on-demand” CRM real estate software for new home builders and developers. Lasso, deployed on thousands of projects globally, equips home builders and sales agencies to convert prospects to purchasers and to sell their developments faster and easier. The company's software manages potential homebuyers online from interest list to occupancy including marketing, sales, inventory and contract management. Lasso works equally well for diverse developments from urban high-rise to suburban townhomes, single and master planned communities, and destination resorts. Lasso is designed for ease of use, rapid deployment and pay by usage to maximize each client's ROI and reduce their technology and financial risk. www.www.lassocrm.com.